Writing about The Maze of Games Kickstarter last week got me thinking about labyrinths and mazes, so naturally, my thoughts turned to the ultimate maze builder: Daedalus. Stories about Daedalus are inconsistent — his workshop was variously attributed to Crete, Sicily, or Athens, and even when he lived is up for debate — but his reputation as the premiere craftsman of his day is unparalleled. His most famous creation was the Cretan Labyrinth, an enormous baffling maze with a roof, so there could be no assistance or solving from above. The Minotaur, a hulking creature with the body of a man and the head of a bull, was imprisoned inside it by King Minos. It would fall to the Athenian hero Theseus to navigate the Labyrinth and slay the Minotaur in order to stop periodic sacrifices of young men and women from Athens to the monster. Theseus did so thanks to a magic ball of wool given to him by the daughter of King Minos, Ariadne. 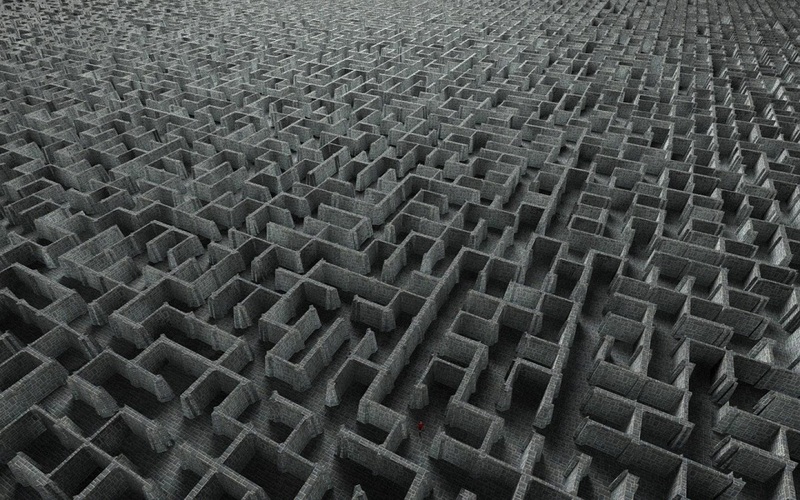 By tying one end of the wool string to the entrance of the Labyrinth — and following instructions given to him by Ariadne — he would be able to find his way back. Theseus bested the Minotaur in a fierce battle, saving the potential sacrificees and ending Minos’s reign of terror over the Athenian people. 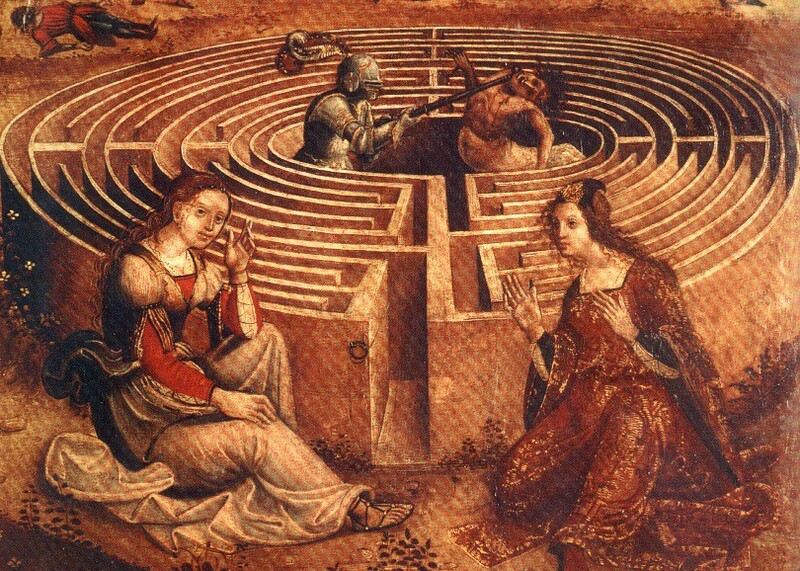 But who gave Ariadne the wool and the instructions on how to navigate the Labyrinth? Daedalus, of course. For his betrayal, Minos imprisoned Daedalus and his son Icarus in the Labyrinth. We all know this part of the story. 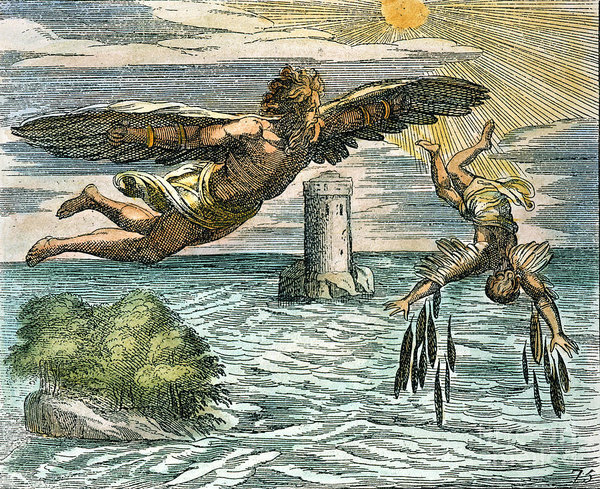 Daedalus fashions wings for himself and Icarus, and they fly off to escape. Unfortunately, Icarus ventures too close to the sun, melting the wax holding his wings together, and he plummets into the sea. Daedalus, heartbroken, continues his flight, eventually finding himself in Camicus, Sicily, a land ruled by King Cocalus. Cocalus welcomed Daedalus and promised him protection from the vengeful King Minos. During his time serving King Cocalus, Daedalus was credited with creating other, less famous wonders, like a perfect honeycomb made of gold, and self-moving “living” statues, and a fortified citadel for Cocalus that was so well designed, three or four men could hold off an invading army. Naturally, King Minos was still hunting the fugitive inventor, and he devised a puzzly scheme to expose Daedalus wherever he was hiding. As he traveled around pursuing Daedalus, Minos would bring a large spiral seashell with him, challenging any clever people he encountered to thread a string through its many interconnected chambers. If they could do so, he would pay them a hefty reward. Hmmm… threading a string though a convoluted maze of chambers. That sounds familiar, doesn’t it? Minos’s travels brought him to Sicily, and King Cocalus wanted that reward money, so he brought the seashell to Daedalus in secret. 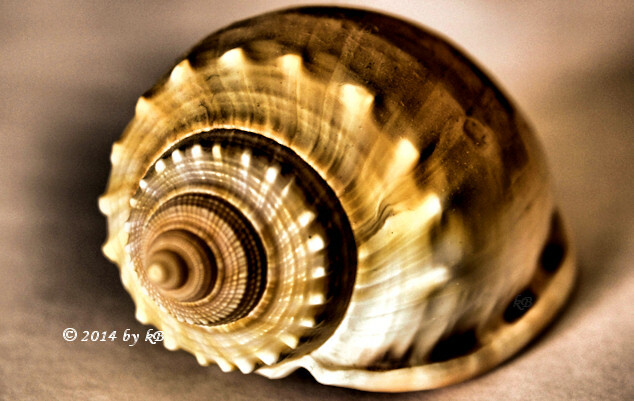 Daedalus drilled a small hole at the top of the shell, and placed a drop of honey at the mouth of the shell. He then glued a thread to an ant and placed it in the hole. As the ant explored the interior of the seashell, hunting for that tempting drop of honey at the end of the maze — like cheese to a lab rat — it towed the string through the shell. Eventually, the little ant completed the task, and Cocalus returned the solved puzzle to Minos. Naturally, Minos demanded that Cocalus turn over Daedalus — the only person who could’ve possibly solved the seashell puzzle — and Cocalus agreed. Of course, Cocalus instead had his daughters murder Minos in a hot spring instead. As you do, when you’ve been denied the puzzly prize money you were promised. So, if you’re ever confronted with a maze — of corn, of wood, or lurking inside a book — make sure you’ve got a ball of yarn or wool with you. And possibly an ant as well.